Government will this week announce the dates on which civil servants will get a 13th cheque for 2017, while also reaffirming its commitment to improving general conditions of service. Public Service, Labour and Social Welfare Minister Cde Patrick Zhuwao told The Sunday Mail yesterday that Government employees would get a bonus. Minister Zhuwao said he would be in a position to give accurate details of the bonus dates and method of payment tomorrow when he was in office. 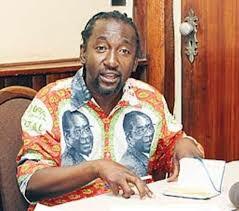 Finance and Economic Development Minister Dr Ignatius Chombo was not reachable for comment yesterday. President Mugabe has said bonuses are part of civil servants’ conditions of service. Government paid the 2016 bonuses in batches, giving Treasury breathing room to make the payments while guaranteeing that all civil servants got a 13th cheque. The last batch of 2016 bonuses was paid off in July this year, a month before Government’s target. The Public Service Ministry has already indicated that time-frames this time around will be shorter. Government has is also offering its employees non-cash incentives such as residential stands in lieu of cash bank deposits, and has come up with a housing scheme for workers.